P5/6 and Plasterhouse take a breather atop a termitarium during one of their bush walks this week. I have had a super week. Firstly it was great to get back to the warmth of Tanzania after ten days in the Himalayan cold. 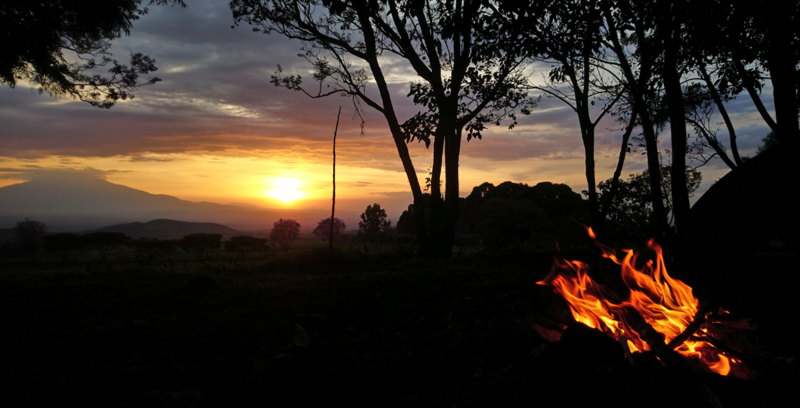 Then to be lucky enough to accompany our students and Plasterhouse to Tarangire was an absolute pleasure. Whilst I have been enjoying the bush, our architects have been hard at work on the northern plot (pictured right). Sune and Alexis have been overseeing the rapid building of the boarding houses. Look how much progress has been made in such a short time! It has made me realise that we need to get our landscaping heads on before the rains start in earnest. Our sporting heroes continue to excel. Congratulations to our Under 11 Girls team who yet again defeated all-comers at the NTAA tournament this week. Finally a big thank you to all of our terrific teachers who give up their weekends to participate in the school trips. 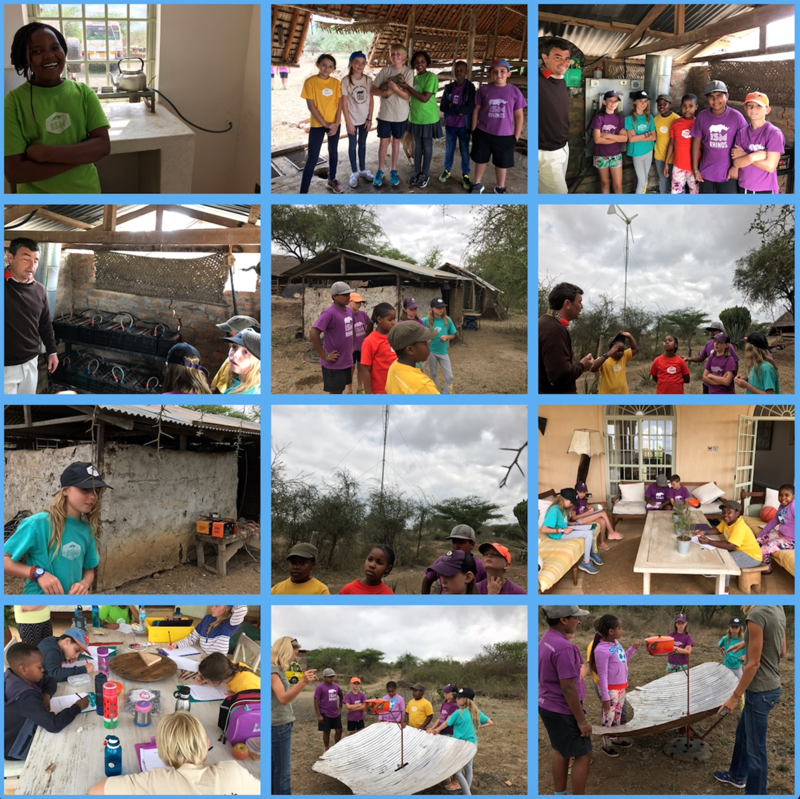 Looking through this newsletter you will see that we had teachers accompanying trips all over northern Tanzania this week. Thank you all and I hope you all get to enjoy a restful weekend. Finally don’t forget that School will be closed on Tuesday to commemorate Maulid Day. As we come to the mid-point of the second quarter it again amazes me how much the students and staff have achieved. Each day is a busy mix of work and activity/play, but all experiences where learning takes place. Last week we had two amazing sports days involving almost our entire school population. Our students were amazing, putting in 110% to all their events. I would like to single out Mr Ratsakatika for all his efforts during these two days – he made everything look so effortless, when of course we all know it took a great deal of planning and preparation by a whole team of people. Well done. This week M4 have been away in West-Kilimanjaro, with the science and mathematics departments, on their interdisciplinary unit (IDU) trip with Moshi campus. A great time was had by all, along with lots of learning taking place. P3 & P4-5 visited Braeburn on Thursday to watch the dress rehearsal of Cinderella Rockerfella. An amazing performance and really enjoyed by all the students. 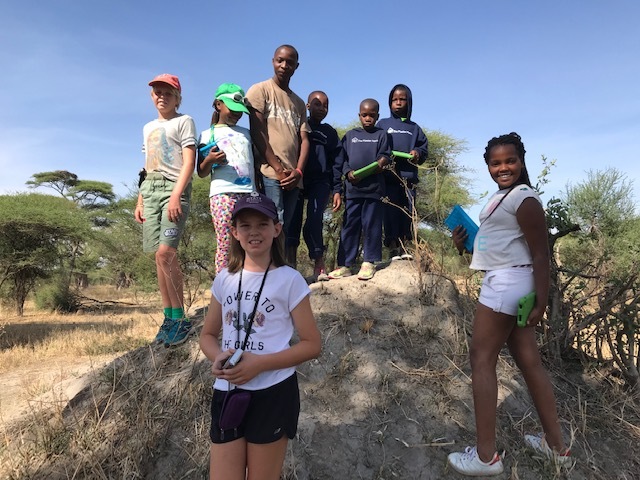 P5-6 also travelled Wednesday to Friday, going into Tarangire national Park with students from Plaster House; this is an annual event run by Mr and Mrs Bowen – again enjoyed and appreciated by all. I will be away next week on a CIS/NEASC school accreditation visit in southern Africa. As a result I will miss the excitement of the annual Moshi Sports Weekend. I wish all our students well (almost all the secondary school will be travelling to Moshi campus) and hope for many sporting successes. perennial supporters, Kananga, who provide the overland truck and the most fabulous warm-hearted staff. Thank you! 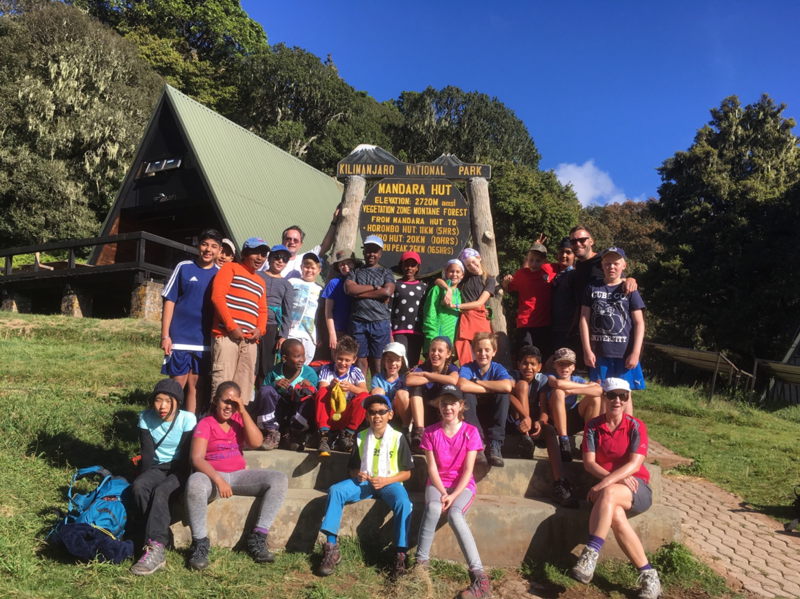 This week M4 students spent three days in West Kilimanjaro for the Integrated Sciences and Maths interdisciplinary unit with their counterparts from ISM. Students collected data in the field in different areas around Simba farm to determine the effect of altitude on the biomass, temperature and rainfall. The students also enjoyed the talk from the farmer and even attempted to manually calculate linear regression and correlation co-efficients. It was a very successful trip with students working very hard to complete their work books by the end of the trip. The P5/6 Class enjoyed a morning at the Harrison’s farm learning about the different forms of renewable energy. They were able to learn about solar, wind, biomass and a parabolic mirror. They looked at the positives and negatives of each and saw how they worked to produce heat and power. A big thank you to the Harrisons for having us. 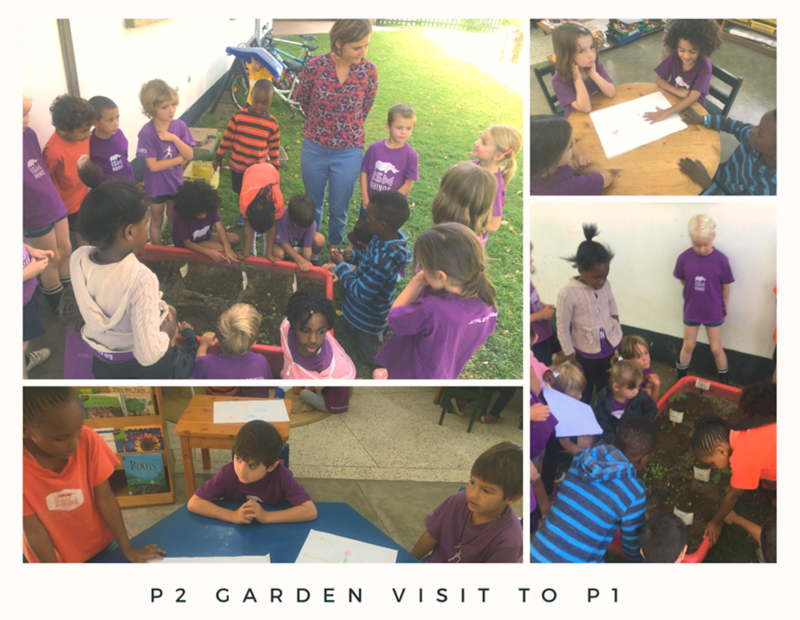 As we wrapped up our unit about plants, the P1 class hosted the P2 class to share their knowledge about gardening, how seeds grow and what types of care they need in order for their garden to stay alive. Roots go down and the shoots go up! montane forest and arrived back at the park gates before noon. The transfer to Moshi campus went quickly and after a pizza lunch together, it was time for the ride back to Arusha where we arrived at 4PM. Well done M1s and hope to see you on the next trip! Thank you to Marcel Gulpers for leading this trip successfully. OP Level 3 trip to Mt Hanang- the fourth highest peak in Tanzania, takes place on Dec 2-5. This is the last opportunity to sign-up. Please see Ms Larpent to sign up before it’s too late. I have received a number of questions from parents and students regarding university applications and the process that students need to go though when preparing to for university. With all students, I always suggest a number of things before they apply to university. This is my list that I suggest all students do before/during that application process. 1. The first and most important question is what do you want to do? What is the end goal? This is very much a personal question and can only be answered by the student. 2. Where on the planet do you want to go to university? This is a question that should be discussed as it is again different for all students. 3. Once a country (or several countries) is chosen, I tell the students to look at a minimum of 3 universities. 1) My dream University? 2) What is my realistic university? 3) What is my plan B? C? This is done so that the students have options and a greater selection of Universities. 4. Are there any entrance tests that I need to do before attending that university? SAT, ACT, TOEFL, IELTS? Each university is different so it is important to know what specific requirements are needed for that university. 5. Is it possible to visit the University? During the summer between D1 and D2 it is important to continue to do research. If students are able to visit a university, I strongly suggest that they go for a tour of the campus. University is the place where they are going to spend the first 4 years of their adult lives and it needs to be a place where they feel at home. 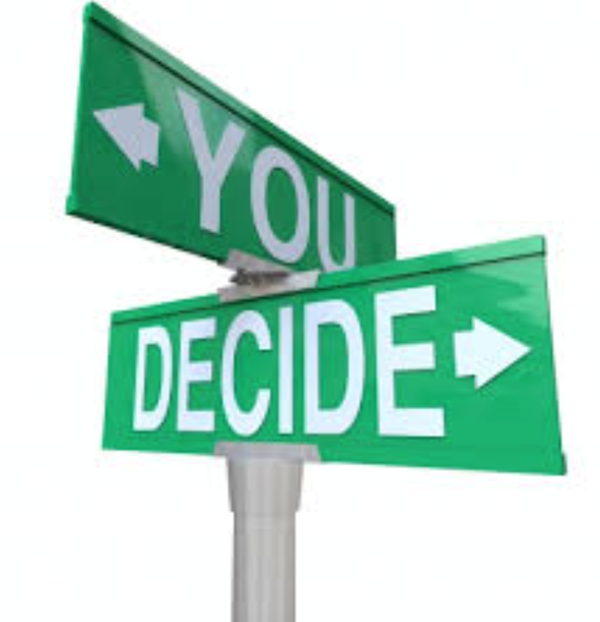 Going on a tour can help with this decision and also take some of the stress away from both the parents and students. 6. Apply to the universities well before the deadline. This is a major decision in a DP students life and should not be taken lightly. After applying for universities, it is then up to the students to make sure that they do as well as they can on all of their final exams. We are delighted to announce that ISMAC will be hosting an International Schools Theatre Association (ISTA) festival from 10th-12th May, 2019. ISTA is a fantastic organisation which brings professional actors and directors to work with students over three days to create a final performance. Schools will be coming from all over the world. If your son/daughter is interested in drama and theatre, this is an opportunity which should not be missed! We are hosting a middle school festival which will be aimed at 10-14 year olds. The cost for participating students from our school will be approximately 600,000tsh, which includes all of the workshops, transportation to and from trips, and food, plus a t-shirt. We will also require students who take part to host two students from visiting schools. This will most likely be from 9th-12th May. 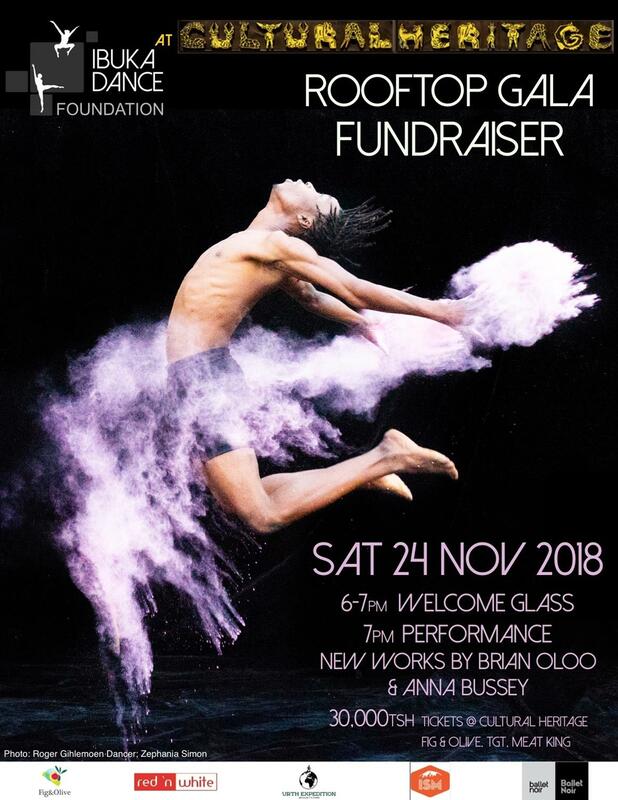 During this time, some of their meals will be provided by school but some will need to be provided by their host families, as well as transportation to and from school for rehearsals (which your own child will also be attending). We have 20-30 places available and these will be filled on a first come, first served basis. 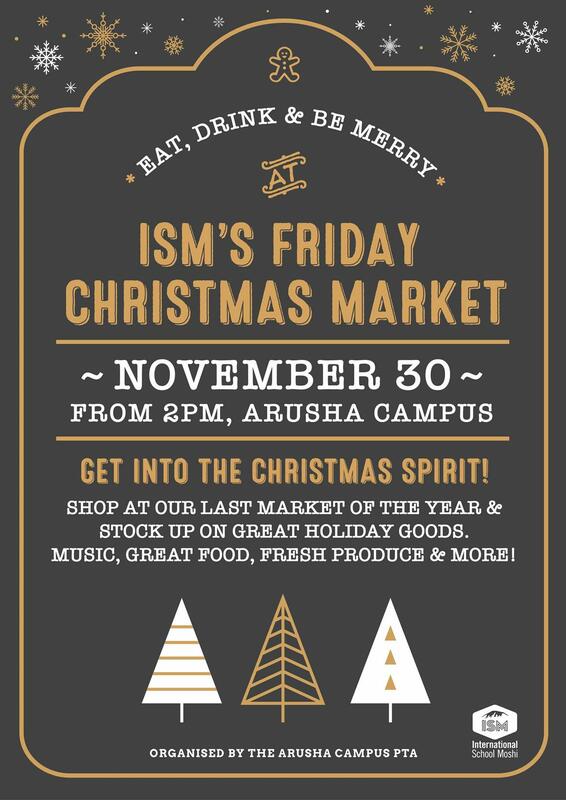 If you would like to register your child(ren), please email Miss Arora at amya@ismac.ac.tz by Friday 30th November. We are so excited for this amazing opportunity! Secondary Production – we need props! 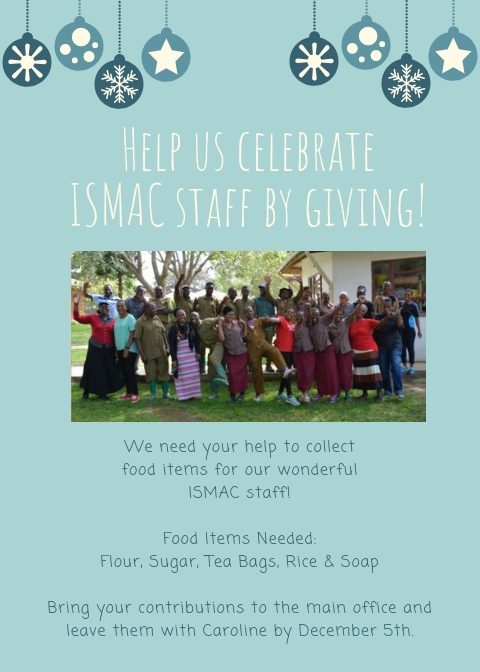 Please contact Ms. Katrina on katrinas@ismac.ac.tz or drop your item(s) off at the EAL Room.